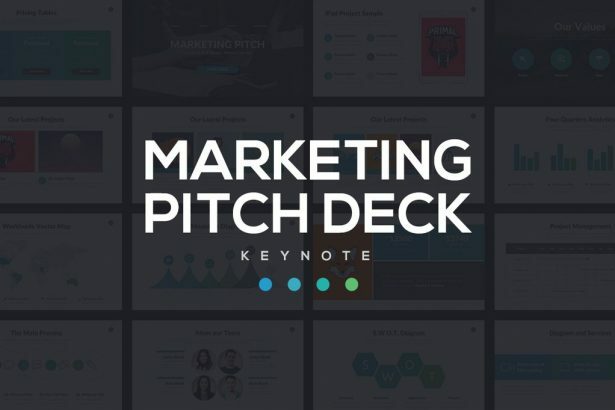 Let the Marketing Pitch Deck PowerPoint Template craft a masterful looking layout for you with its creative text layout and photo combinations. No matter what specter of the corporate world your business lies it, your organizational charts and marketing workflows do need to look professional. Go ahead and take a look! 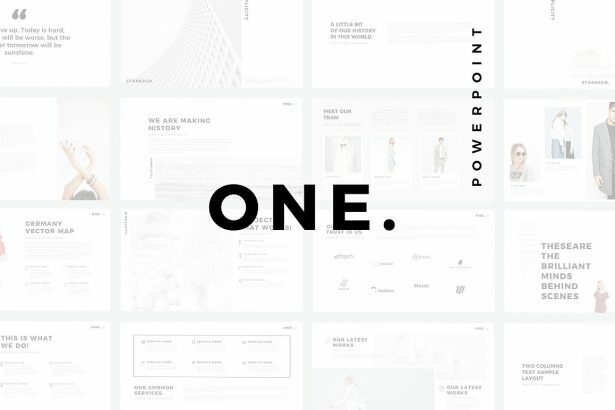 The One Minimal PowerPoint Template comes jam-packed with over sixty modern slide layout fashions and a fresh combination of photo, text and graphics choices which allow you to quickly customize your presentation so you don’t have to waste time trying to figure out how to default template looks dull and boring. 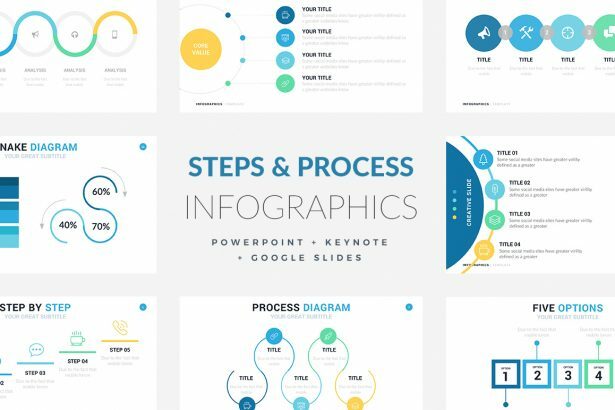 The Steps and Process Infographic Templates’ modern and sleek design ensures a total customer satisfaction. Everything is editable and easily and it comes equipped with a variety of diagrams to fulfill any task the user needs to accomplish. It is also fully compatible with Keynote, Google Slides, and Powerpoint. A structure is a key to any presentation of statistics and facts. 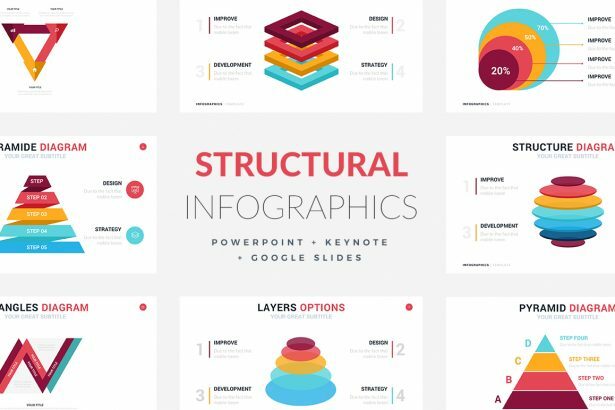 The Structural Infographic Templates is full of unique color-coded diagrams that will help you present your information in various ways and its elegance and professionalism will amaze any audience. Compatible with Powerpoint, Google Slides, and Keynote. 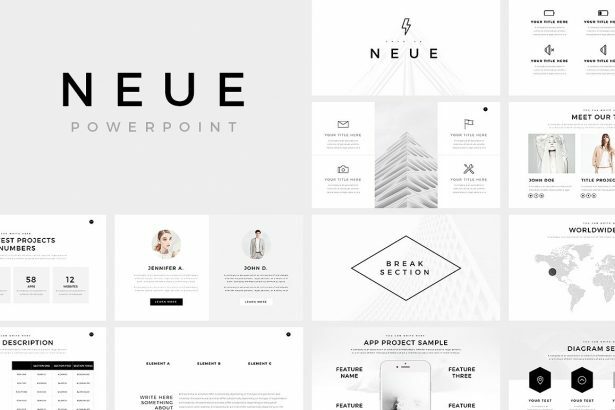 Stand out from the crowd with the Neue Minimal PowerPoint Template’s modern look and creative layout. You can focus on confidently presenting your future business strategy. The simple way of putting together your process diagrams will allow you to pitch your project and it’s goals comfortably. 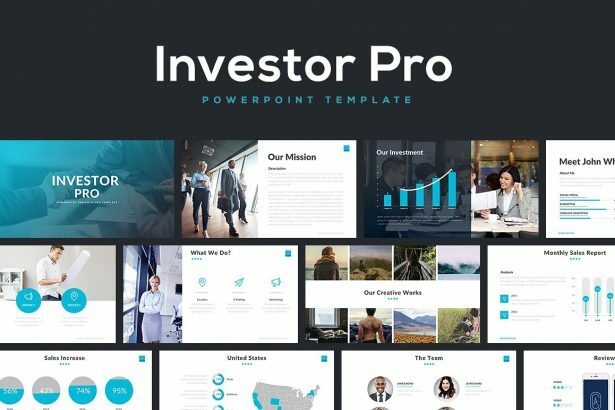 Let the Investor Pro PowerPoint Template take over all your professional business needs today. This template is feature rich and gives you access to all the assets you need for investor ready presentations: graphs, charts, and tables. The Investor Pro template can easily be downloaded so you can jump straight into it.